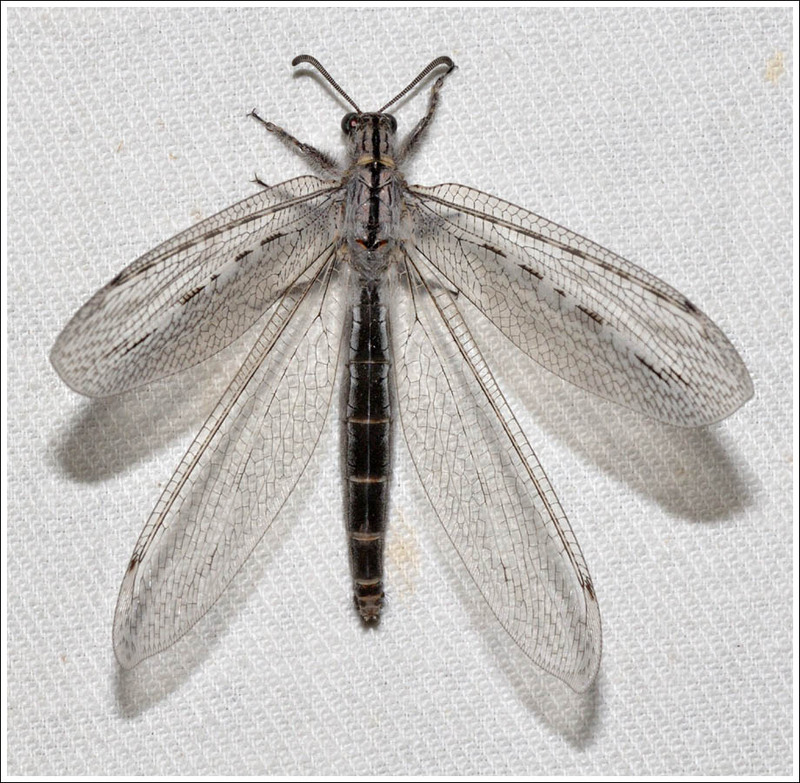 Antlion pits were very numerous this summer, until two brief but violent thunderstorms virtually wiped them out. 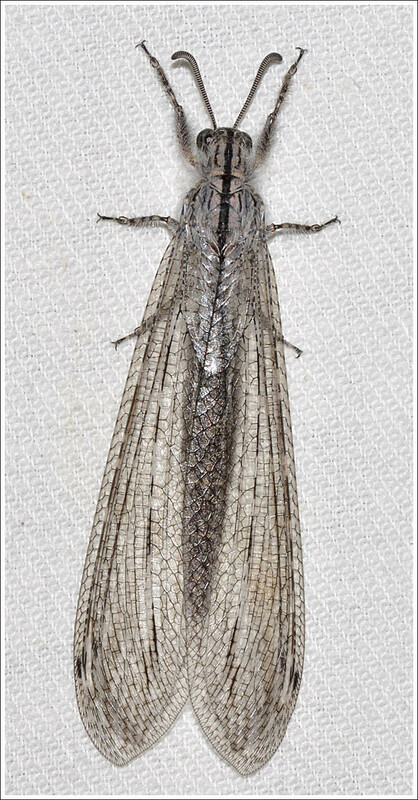 The adult lacewings are frequent visitors to the moth light and, despite the toll taken by the storms, two came in recently, a small Myrmeleon species that soon departed, and an impressive Heoclisis fundata, aka Hairy Antlion. 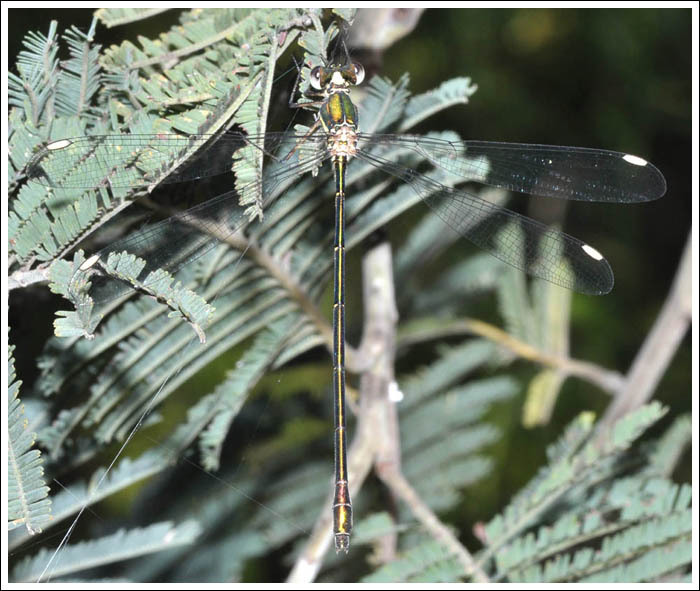 It fluttered around on the concrete until being carefully transferred to the sheet where it was happy to perch. Click first image to enlarge. 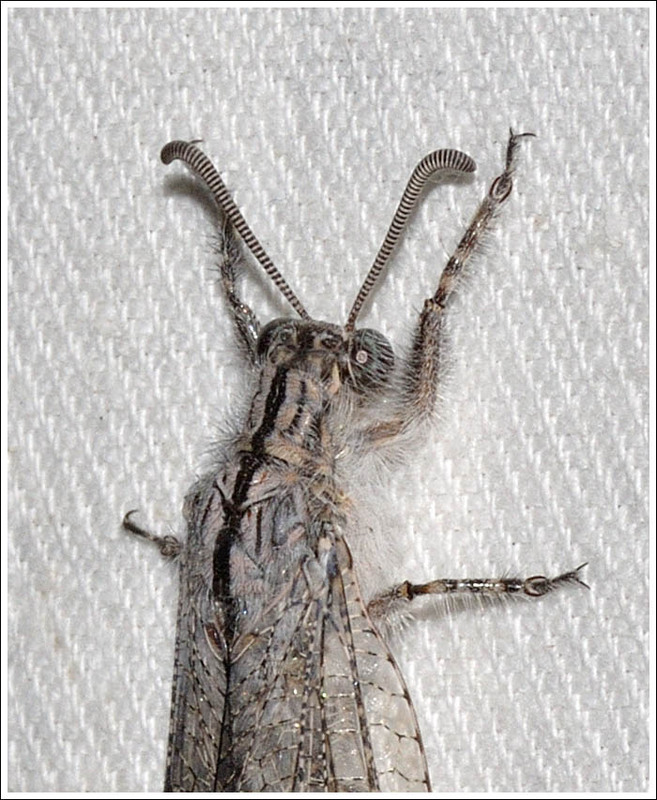 Posted on February 27, 2019 by TricarpaPosted in General Nature. 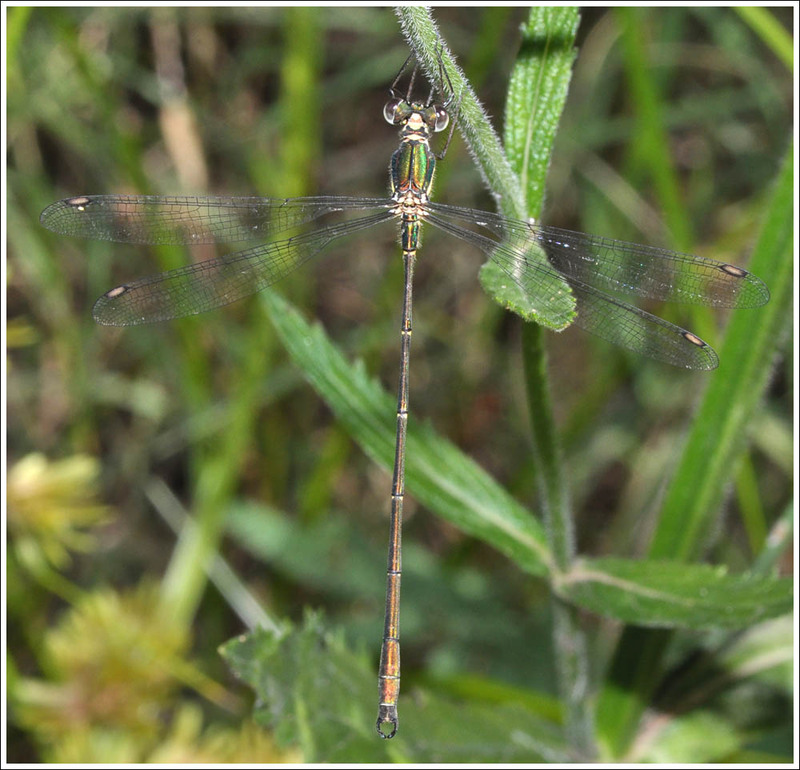 An apt name for the male of this species, Synlestes weyersii, quite a few of both sexes are along the river bank at the moment. Unlike many Odes they are very cooperative and pose nicely for the camera, and if disturbed just settle again in the same spot or close by. 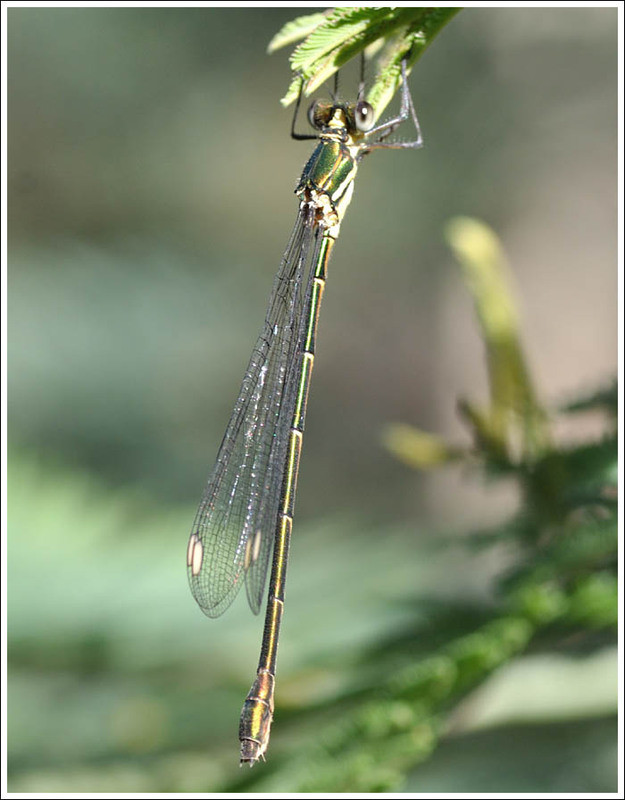 A good field mark for this damselfly is the pterostigma, which is white or slightly tinted. 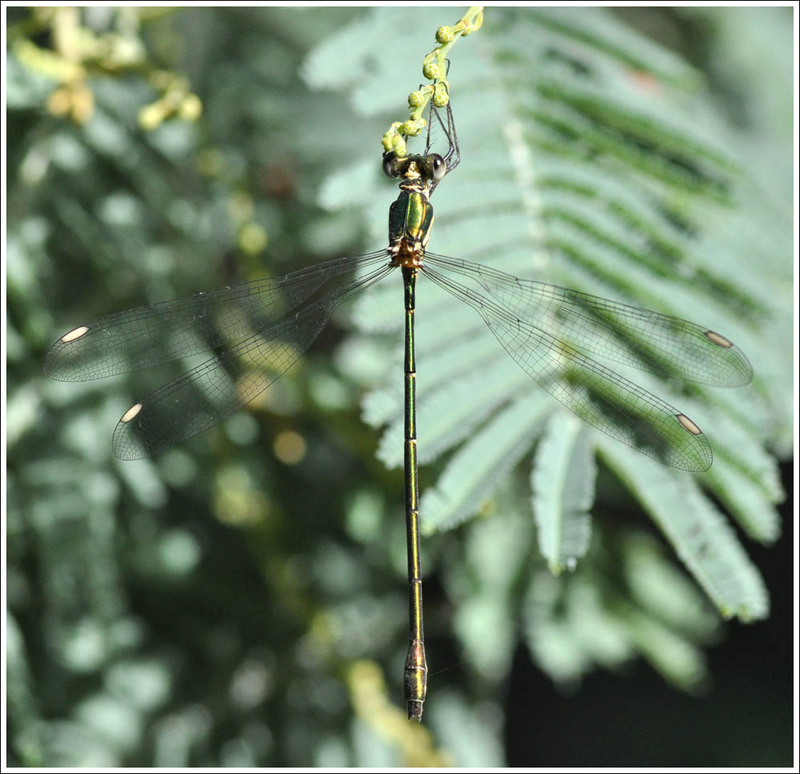 With a nagging breeze making things difficult, some photos were taken with manual flash with the maximum sync. speed of 1/200th of a second, others with natural light. 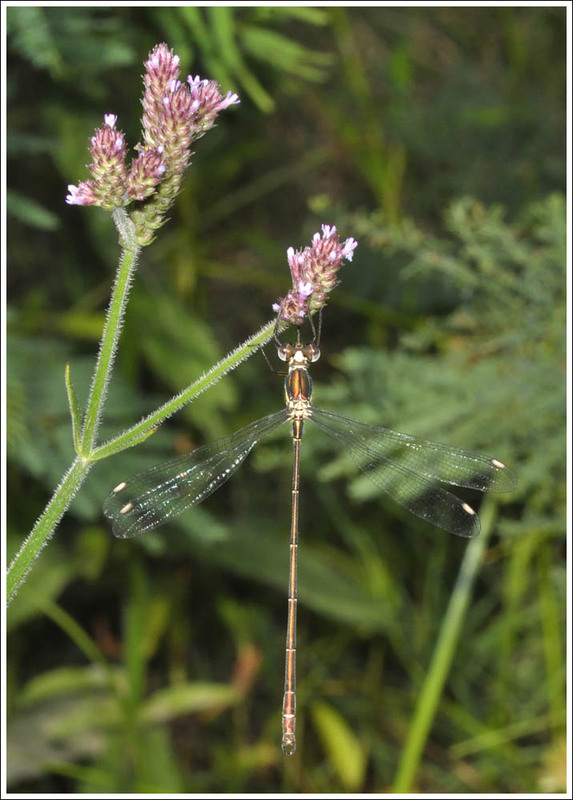 Male on Purpletop, Verbena bonariensis, an introduced plant common along the river. 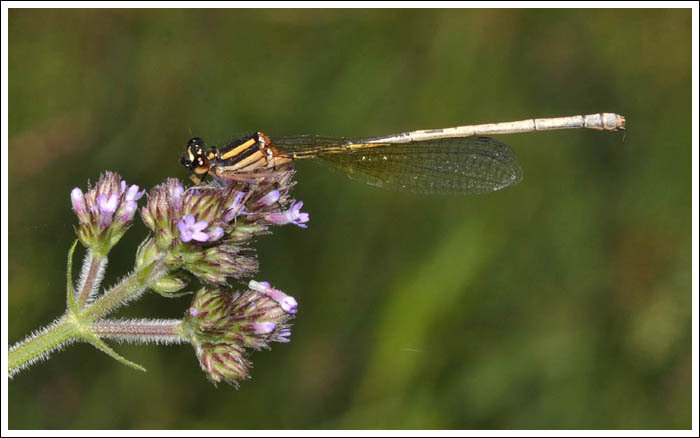 This plant is very popular with butterflies and is allowed to grow unchecked in the reserve. With the season drawing to a close, this Orange Threadtail, Nososticta solida is showing its age. Most photos will enlarge with a click. Posted on February 20, 2019 by TricarpaPosted in General Nature.